New Delhi: The Institute for Studies in Industrial Development (ISID) observed its 31st Foundation Day today, at the ISID campus in Vasant Kunj. 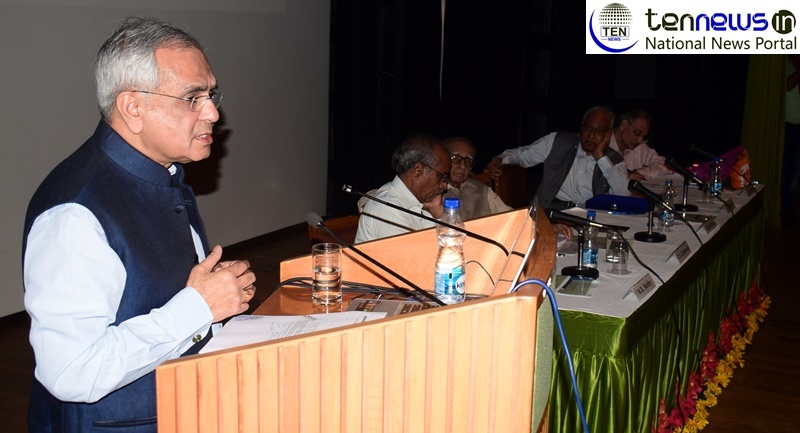 DR. Rajiv Kumar Vice Chairman, NITI Aayog, Government of India was the Chief Guest at the function. A large number of guests, academics, bureaucrats, journalists, etc. graced the occasion. The Institute for Studies in Industrial Development (ISID), successor to the Corporate Studies Group (CSG), is a national-level policy research organization in the public domain and is affiliated to the Indian Council of Social Science Research (ICSSR). Developing on the initial strength of studying India’s industrial regulations, ISID has gained varied expertise in the analysis of the issues thrown up by the changing policy environment. The Institute’s research and academic activities are organized under the following broad thematic areas. Strive to create homes not houses say experts at Economic Times & Saint Gobin Smart Green Summit 2018!